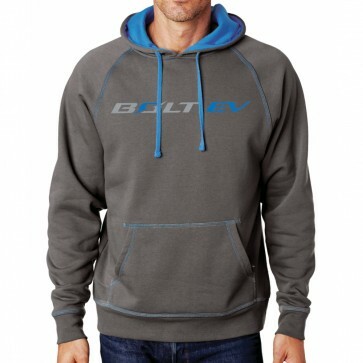 Keep warm in this Bolt EV hooded fleece. Features include the Bolt EV logo on the chest, a front pouch pocket, raglan sleeves and triple needle contrast accent stitching. 60% cotton, 40% polyester fleece. Imported.